The Possibility Post | Why would you post on a blog? In this post, I want to share some inspiring resources that show the value of keeping a blog. Why do I write posts on a blog? Writing on my blog, The Possibility Post, has given me an online space to document my thinking and to add hyperlinks so I can go back to the original sources of my ideas and share with friends and colleagues. In this way, it works as a curation tool that I can go back to as a reference and update with new information. By reflecting and making connections between resources and ideas I am documenting or journaling my learning. This is the heart of my blog. The Possibility Post is a global digital journal and portfolio that demonstrates who I am as a teacher and as a learner. One downside is that I can find the process of writing a post to be difficult and time-consuming. I use Grammarly for editing and I cut by about a third. By posting frequently, the process becomes easier. I have found it best to keep my writing short with brief comments that connect ideas and resources. Below are the main reasons why I blog and some inspiring resources that show the value of keeping a blog. Firstly, a blog gives you a space to collect resources and add digital links to the original sources. This is for my own library of thinking but also gives me a space where I can share resources with others. The blogging platform is a natural environment to document learning over time. 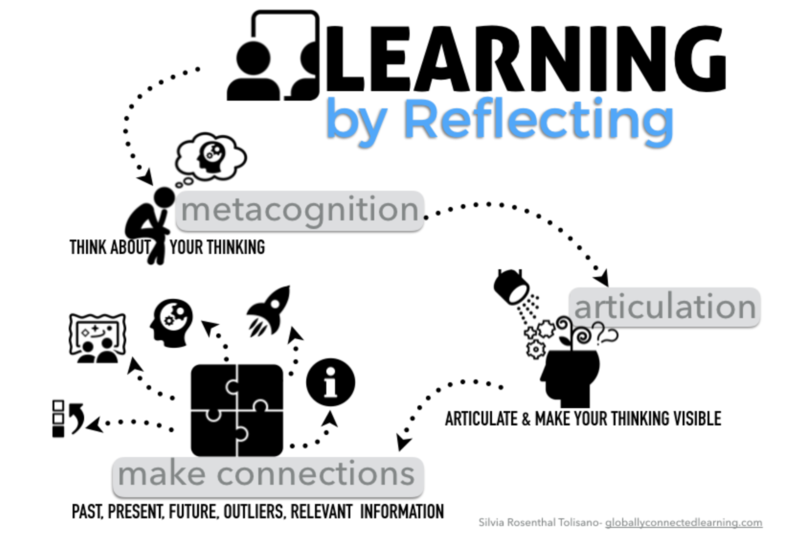 with strategic and thoughtful tagging and categorization, the learner can organize and archive their work to later access, retrieve and connect their artifacts and reflections of learning. With reflective prompts (ex. KWHLAQ), students are guided through the process. Every step is documented on the learner’s blog, supporting the self-assessment process along the way and making it available for feedback via comments. Thirdly, The Possibility Post is a space to connect with others who share my interests. People can write comments on my posts to make connections and extend my ideas. Or as Aaron Davis suggests, why not write comments on your own blog instead of in a comment box on another person’s blog? ... This led me to start replying to posts from my blog. Although it can be argued that this process involves more effort, it has resulted in me being more mindful of the comments that I leave. This is something Chris Aldrich touches upon in his introduction to the IndieWeb. To see how Aaron replies to other posts go to his blog Read Write Collect. I really like this style as a quick way to document and reflect on articles that add to my learning and share. Tagged Aaron Davis, blogging, curating, documenting, documenting learning, reflecting, Silvia Tolisano, The Possibility Post, why blog. Bookmark the permalink. Excellent tips on using a Blog as a journal and reference source. Thanks for sharing.